HOUSTON--(BUSINESS WIRE)--Gulf Coast Express Pipeline LLC, a joint venture owned by affiliates of Kinder Morgan, Inc. (NYSE: KMI), DCP Midstream, LP (NYSE: DCP) and Targa Resources Corp. (NYSE: TRGP), today announced the start of a binding open season for 220,000 dekatherms per day (Dth/d) of firm natural gas transportation service on the Gulf Coast Express Pipeline Project (GCX Project), which will transport natural gas from the Waha, Texas, production area to the market hub near Agua Dulce, Texas, once built. Of the 220,000 Dth/d of available capacity, 60,000 Dth/d have been added to the project due to strong market demand. With the added capacity, the GCX Project will have a total design capacity of 1.98 billion cubic feet per day at an estimated cost of $1.75 billion. 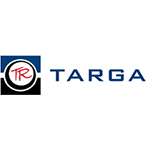 As previously announced in December 2017, KMI, DCP Midstream and Targa jointly made a final investment decision (FID) to proceed with the GCX Project, with construction activities slated for the first quarter of 2018. The in-service date of October 2019 remains the same, pending the receipt of regulatory approvals. Following the FID in December, the project has signed with Occidental Energy Marketing, Inc., a subsidiary of Occidental Petroleum Corporation, and Kaiser-Francis Oil Company for transportation service on the system. Additional details on the project, including past press releases and a system map, can be found at www.kindermorgan.com under the GCX Project web page. The open season bid period begins on Feb. 5, 2018, and ends at 5 p.m. Central Time on March 1, 2018. Interested parties should submit their written request for the Binding Bidding Guidelines to Dave Grisko, vice president of business development for Kinder Morgan’s Natural Gas Midstream group, at david_grisko@kindermorgan.com or (713) 369-9870. 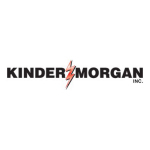 Kinder Morgan, Inc. (NYSE: KMI) is one of the largest energy infrastructure companies in North America. It owns an interest in or operates approximately 85,000 miles of pipelines and 152 terminals. KMI’s pipelines transport natural gas, refined petroleum products, crude oil, condensate, CO2 and other products, and its terminals transload and store petroleum products, ethanol and chemicals, and handle products such as steel, coal and petroleum coke. It is also a leading producer of CO2 that we and others use for enhanced oil recovery projects primarily in the Permian basin. For more information, please visit www.kindermorgan.com. 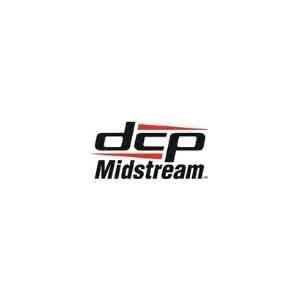 DCP Midstream, LP (NYSE: DCP) is a midstream master limited partnership, with a diversified portfolio of assets, engaged in the business of gathering, compressing, treating, processing, transporting, storing and selling natural gas; producing, fractionating, transporting, storing and selling NGLs and recovering and selling condensate. DCP owns and operates more than 60 plants and 63,000 miles of natural gas and natural gas liquids pipelines, with operations in 17 states across major producing regions and leads the midstream segment as one of the largest natural gas liquids producers and marketers and one of the largest natural gas processors in the U.S. Denver, Colorado based DCP is managed by its general partner, DCP Midstream GP, LP, which is managed by its general partner, DCP Midstream GP, LLC, which is 100% owned by DCP Midstream, LLC. 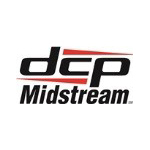 DCP Midstream, LLC is a joint venture between Phillips 66 and Enbridge. For more information, please visit www.dcpmidstream.com. This news release includes forward-looking statements within the meaning of the U.S. Private Securities Litigation Reform Act of 1995 and Section 21E of the Securities and Exchange Act of 1934. Generally the words “expects,” “believes,” anticipates,” “plans,” “will,” “shall,” “estimates,” and similar expressions identify forward-looking statements, which are generally not historical in nature. Forward-looking statements are subject to risks and uncertainties and are based on the beliefs and assumptions of management, based on information currently available to them. Although Kinder Morgan believes that these forward-looking statements are based on reasonable assumptions, it can give no assurance that any such forward-looking statements will materialize. Important factors that could cause actual results to differ materially from those expressed in or implied from these forward-looking statements include the risks and uncertainties described in Kinder Morgan’s reports filed with the Securities and Exchange Commission, including its Annual Report on Form 10-K for the year-ended December 31, 2016 (under the headings “Risk Factors” and “Information Regarding Forward-Looking Statements” and elsewhere) and its subsequent reports, which are available through the SEC’s EDGAR system at www.sec.gov and on our website at ir.kindermorgan.com . Forward-looking statements speak only as of the date they were made, and except to the extent required by law, Kinder Morgan undertakes no obligation to update any forward-looking statement because of new information, future events or other factors. Because of these risks and uncertainties, readers should not place undue reliance on these forward-looking statements. This news release includes forward-looking statements within the meaning of the U.S. Private Securities Litigation Reform Act of 1995 and Section 21E of the Securities and Exchange Act of 1934. Generally the words “expects,” “believes,” anticipates,” “plans,” “will,” “shall,” “estimates,” and similar expressions identify forward-looking statements, which are generally not historical in nature. Forward-looking statements are subject to risks and uncertainties and are based on the beliefs and assumptions of management, based on information currently available to them. Although DCP Midstream believes that these forward-looking statements are based on reasonable assumptions, it can give no assurance that any such forward-looking statements will materialize. Important factors that could cause actual results to differ materially from those expressed in or implied from these forward-looking statements include the risks and uncertainties described in DCP Midstream’s reports filed with the Securities and Exchange Commission, including its Annual Report on Form 10-K for the year-ended December 31, 2016 (under the headings “Risk Factors” and “Information Regarding Forward-Looking Statements” and elsewhere) and its subsequent reports, which are available through the SEC’s EDGAR system at www.sec.gov and on our website under the Investors tab at www.dcpmidstream.com . Forward-looking statements speak only as of the date they were made, and except to the extent required by law, DCP Midstream undertakes no obligation to update any forward-looking statement because of new information, future events or other factors. Because of these risks and uncertainties, readers should not place undue reliance on these forward-looking statements.